Arrange and sell products and services. 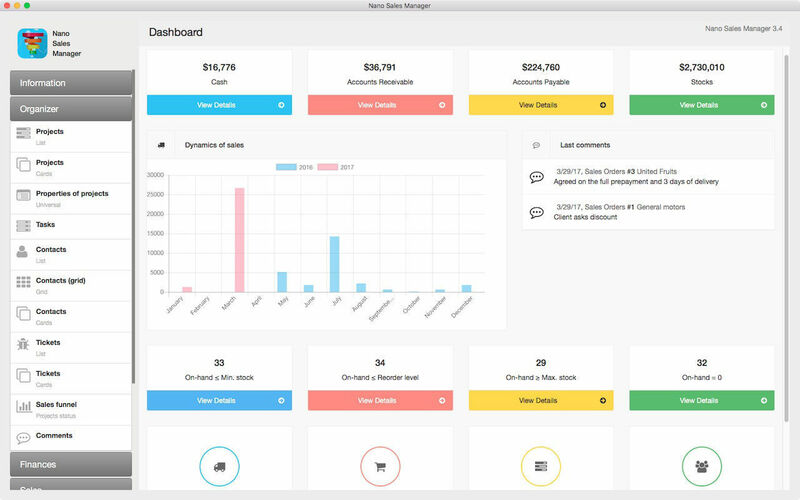 Is there a better alternative to Nano Sales Manager? 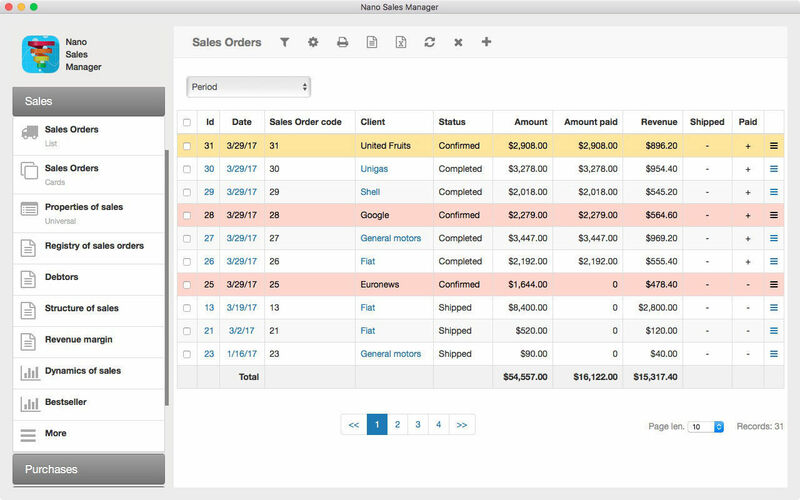 Is Nano Sales Manager really the best app in Applications category? 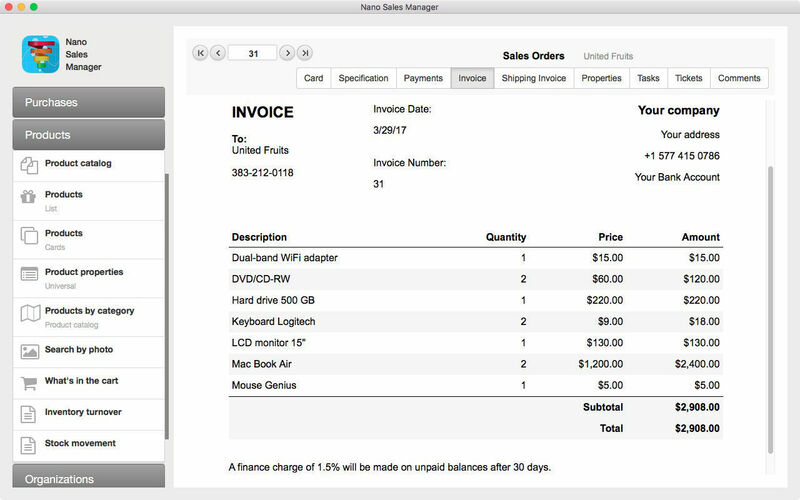 Will Nano Sales Manager work good on macOS 10.13.4? Nano Sales Manager will help you to arrange the process of selling the products and services from the first meeting with a potential client to the turning him into a permanent customer. 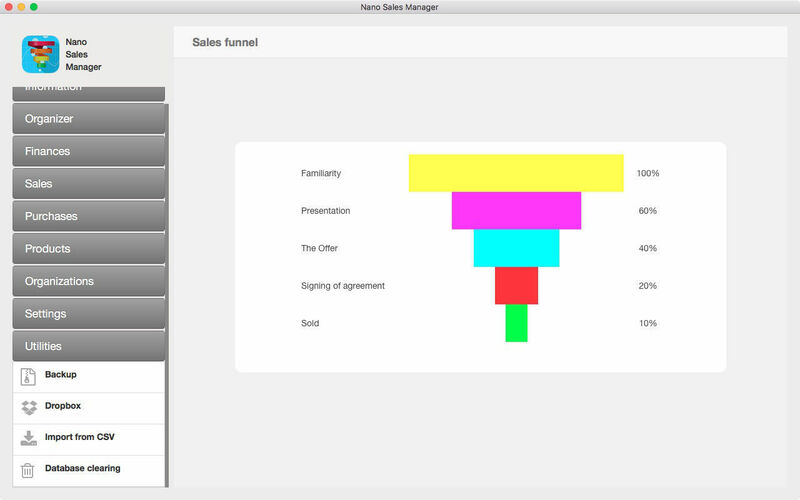 The application will also demonstrate you the efficiency of this process by means of the sales funnel. The "Currency Rate" field has been added to "My Profile"
Nano Sales Manager needs a review. Be the first to review this app and get the discussion started! Nano Sales Manager needs a rating. Be the first to rate this app and get the discussion started! 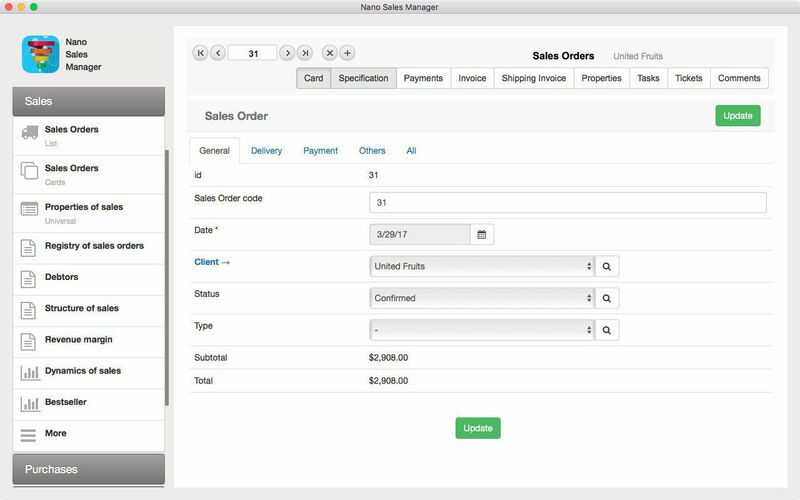 The application allows you to automate various business-processes of sales. In the most simple case these are the processes with a short cycle when a client found you by himself and wants to purchase your product or service. The only thing left for you to do is to create a sales order, add the necessary products therein, accept the payment, give the products to the client and set the "Completed" status of the order. The application has all the necessary tools for this.